Amendments to the Income Tax Assessment Act 1997 impose obligations on purchasers to withhold 10% tax on the purchase of Australian real property valued in excess of $2 million from non-resident vendors. The amendments place the onus upon the purchaser to withhold the 10% tax in circumstances where the purchaser knows, or reasonably believes that the entity is a foreign resident or where the vendor requests the purchaser to provide a financial benefit outside of Australia. transactions involving non-resident vendors who are subject to insolvency or bankruptcy proceedings either in Australia, or under a foreign law. The Australian Tax Office can provide either full exceptions to the withholding obligations by issuing a ‘clearance certificate’ or a variation to the purchaser’s withholding obligations by issuing a ‘notice of variation’. In all circumstances where the vendor has not provided a clearance certificate the purchaser must withhold the relevant amount at settlement and pay the withheld tax to the ATO without delay. Failure to make payment to the ATO of the withholding tax will incur penalties equal to the amount that should have been withheld. We recommend that all contracts of sale for Australian property in excess of $2 million which are signed after 1 July 2016, incorporate special conditions which reflect the withholding obligations of the purchaser. 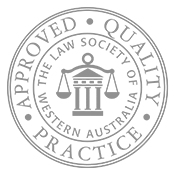 HKT Legal is a proactive Perth based law firm providing common sense advice on a wide range of property law issues as well as other areas of law.